Cloud's allure is undeniable - increasing IT agility and accelerating time-to-market of innovative services is a primary goal in almost every modern enterprise. However, before diving right in, organizations need to understand the entire process of building and launching new applications and microservices. Identifying manual change processes currently in place and ensuring they can be automated in a cloud operations model is a critical factor to ensuring that security doesn't slow down innovation or innovation doesn't compromise security. Ideally, a strong and secure public, private or hybrid cloud environment would encompass a perfect union of centralized visibility, integration, automation, orchestration and control that doesn't compromise critical IT security and data privacy practices. There are key challenges IT security and operations must face to realize the benefits of a secure cloud model. Since most enterprises use disparate security solutions complicated by fragmented policies, manual processes and inconsistent controls, the complexity of moving to public, private or hybrid cloud can have a negative impact on business innovation, operational overhead and the bottom line. Following are a list of important questions enterprises should consider when moving to a hybrid cloud environment. Q. What are some of the challenges associated with moving to a hybrid environment? Many organizations underestimate the level of complexity in hybrid-cloud environments. Let's face it - managing security on-premises is hard enough, but add in multiple cloud vendors and platform options, increased threat vectors and attack surfaces, as well as new models like DevOps, Infrastructure as Code and containers - and keeping up with everything can be almost impossible. Even more so when application release cycles are moving closer and closer to real-time deployments. Despite potential complexity, the majority of enterprises have adopted a "cloud first" mantra. The goal is to enable application development teams and business owners to release new services and innovate faster than competitors. Additionally, the agility of cloud allows organizations to respond to customers and market conditions in real-time. Like many organizations, some of the customers we speak with value the importance of change management, security and compliance, but don't want to compromise application release schedules, miss application deployment SLAs back to the business or end up being a bottleneck. Modernization and transformation are now critical to delivering secure cloud services. Q. What's the best approach to enabling the business without moving all workloads to the public cloud? The best approach will ultimately depend on the organization, so let's look at a real-world example from one of our customers. This customer invested in and deployed a software-defined private cloud. With the goal of enabling agile development without compromising security, they adopted micro-segmentation as part of their security and networking strategy. They mapped out which web, application and database servers should and shouldn't interact with each other, and then implemented virtual distributed firewall rules to ensure only assets that should talk to another asset could within their environment. After a couple of months of testing, they moved production applications into the environment and saw immediate results. Application release cycles were eight-to-10 times faster than on their legacy data center infrastructure, and they were able to meet release schedules and SLAs back to the business. After a period of time, they were up to over 500 virtual machines (VMs) and had over 25 micro-segmented security zones. Q. Does that approach scale as the enterprise grows? Or is the honeymoon over? Just like the start of most new relationships, everything was perfect after the initial deployment. As the customer's environment continued to grow, some of the issues that seemed minor at first began to impact their business. Everything was great...until they noticed things started to slow down and virtual machines weren't being deployed as quickly as they were at the beginning. Complexity reared its ugly head, as they realized they had gone from managing a small number of firewalls in their new environment to managing firewall rules for over 25 virtual distributed firewalls in place. DevOps had automated the deployment of VMs and resource provisioning, but every change created firewall change requests that fell into the hands of their network operations team. The network operations team had to manually create necessary access rules and then publish them into each relevant distributed firewall, in addition to changes to the perimeter firewalls and networking devices already in place. As new applications queued up to deploy, previously deployed applications either changed, moved or spun down, which meant the ticket queue for changes had more than doubled, not to mention the added burden of investigating any rules that were blocking or not allowing proper access. So, you can guess what happened next. Deployment release times began to slip, the number of unintended misconfigurations increased and the return on investment on their private cloud investment dropped quickly. Not only did they not anticipate the level of complexity of their private cloud deployment, they also overlooked the domino effect on the network operations team. Since the team was responsible for the private cloud environment in addition to their firewalls across the entire organization, ticket responses in other environments were impacted and timelines for other critical projects slipped. Q. What can be done to keep the balance of accelerating the business without compromising security in that perfect honeymoon stage? Automation is a key component of maintaining that balance. Many enterprises have a number of their processes automated, but they're not integrated with each other, or, in worst cases, manual processes are king, which opens the potential for misconfigurations and human error. Some vendors have automation included in their solutions, but chaining automation end-to-end across multiple vendors that make up a private cloud is critical to maintaining agility and security at scale. Our customer had some automation already in place, with their DevOps team using automation tools as part of their private cloud development process. They figured there had to be a way for them to integrate with those DevOps tools already in use to fully automate their firewall change process and integrate it into their CI/CD (continuous integration and continuous delivery) pipeline. They were able to centralize the design and delivery of their firewall policies for every current (and future) VM in their private cloud, in addition to any related access requests tied to their physical perimeter firewalls. With full visibility and unified security policy management across their hybrid environment, the DevOps team can deploy new applications on time, and the network operations team can focus on more strategic projects as their ticket queue is reduced to managing any outliers that are not automatically pre-approved. Q. And the hybrid environment lives happily ever after? Despite the speed of enterprises moving to the cloud, on-premises environments aren't going to disappear anytime soon. Public, private and hybrid cloud all appear to be here to stay. None are perfect...you have to work to keep them happy and in tip-top shape. The emergence of DevSecOps shows that people and software tools in the environment are starting to work across traditional silos to provide a fully automated and secure process. You need all the pieces integrated and talking to each other, and the ability to automate and orchestrate processes to eliminate misconfigurations and ensure continuous compliance. Marrying the needs of your business with the context and policies of your network assets can let you automatically determine and enforce the necessary access and security policy across your existing infrastructure. Ultimately, embedding security in the DevOps process will provide you with the foundation for a strong and secure hybrid environment that drives innovation at your speed of business. As Vice President of Solutioning for next-gen automation software, Paul Anderson spends his time with customers and partners to understand the impact that trends including DevOps, Micro-segmentation, and Cloud have on network and security operations. While almost every enterprise organization is moving to a ‘cloud' model to increase agility and innovation, there are many paths to get there. 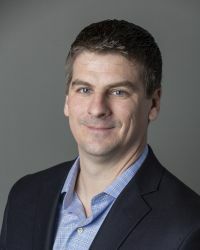 As DevSecOps roles emerge and network and security teams are now being asked to make secure changes without slowing down release cycles, an automation strategy is critical to enable agility, maintain security controls, avoid human error and create repeatable processes to allow personnel to spend more time on innovative projects and less time troubleshooting and fighting fires. Paul's background lends to a unique understanding of the challenges that organizations face when marrying application release schedules with infrastructure operations and security. Prior to joining FireMon Paul spent a handful of years on the front lines of large Digital Transformation, private cloud and Data Center Modernization projects with VCE & Dell EMC and previously four years in the application delivery and security space at F5 Networks. As the Director of Product Marketing, Elisa Lippincott is charged with demonstrating the value proposition for FireMon across the enterprise cloud security market. Elisa has a long resume in the cyber security industry, most recently with Trend Micro's Network Defense team. 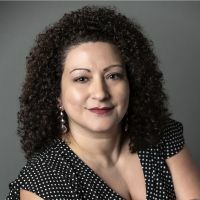 Her security expertise spans over 18 years covering intrusion prevention (IPS), next-generation firewall (NGFW), threat intelligence, network access control (NAC), identity and access management (IAM), security information and event management (SIEM), and cloud security solutions.